New research to drive UK agriculture as leaders of innovation and efficiency will lie at the heart of this year’s Nuffield Farming Scholarships annual conference. Farmers and industry professionals will report on new research and recommendations to boost best practise in UK agriculture. A total of 25 scholars will be presenting at this year’s Nuffield Farming Scholarships annual conference, being held at Gosforth Park Hotel, Newcastle. The conference brings together individuals who work in the farming, food, horticulture and rural industries to present their findings having travelled internationally to study a chosen topic. Scholars travel for a minimum of eight weeks, visiting farms and key international organisations round the world who facilitate their learning. "I see my Nuffield Scholarship as a catalyst for change. It was not instant, but the gradual changes have made a real impact"
This year’s topics include family business development, marketing premium beef, soil preservation, maximising effciency in sugar beet farming, tackling food waste and nurturing new talent in the industry. Mike Vacher, Nuffield director, believes the key findings facilitate cross-sector learning and best practise across all sectors. Paul Fishpool was awarded his scholarship last year and recently completed 18 months of study and global travel on maximising efficiency of the UK sugar beet supply chain. He will be presenting his findings at this year’s conference. How did you choose your study topic? I work in the sugar industry and was interested to see how the rest of the world operated. I wanted the chance to learn from practices round the globe, and bring back information, techniques and experience to improve the efficiencies of the UK sugar beet supply chain. 2010 Scholar James Peck introduced me to Nuffield during a conversation about his study. It sounded like an excellent experience and I thought a study on sugar could benefit the industry. Which countries did you travel to? I travelled to the USA twice. The first time I went to Idaho to visit Amalgamated Sugar and on my second visit I went to Michigan, Minnesota and North Dakota to see American Crystal, Michigan Sugar and Minn Dak. I also visited Australia, South Africa, Zambia, Malawi, Slovakia and Spain. Did you face any challenges during the 18-month scholarship? Finding time to write my report was challenging but my biggest hurdle was in Zambia, when I had to explain to customs the money I needed to pay for my visa was going round the carousel in my bag on the other side of the airport. They did allow me into the country in the end. How has your Nuffield study benefited you? I have learned lots from my experience, both personally and professionally. I have been sharing my findings with industry stakeholders from the start. 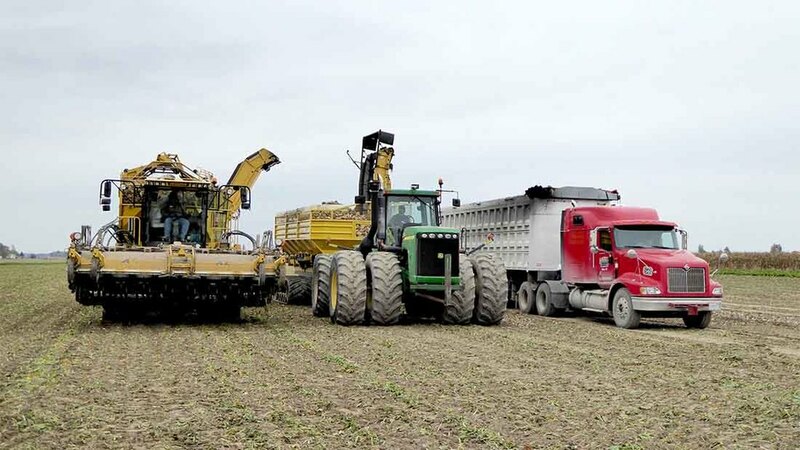 For example, in Australia they grow sugar cane, opposed to sugar beet, and to keep it fresh the cane has to be transported to the factory quickly. To facilitate this they have some fantastic technology and systems to help manage it, some of which I would like to see implemented in the UK. Just go for it. It is a fantastic experience which gives you the opportunity to promote change in the industry. I was concerned I might not be able to fit the study and travel in with my busy lifestyle. However, there are ways to ensure your farm or business can run without you. At the end of the day it is of benefit to you and your industry. Joe Delves completed his Nuffield Scholarship in 2013 and his business has dramatically changed for the better. 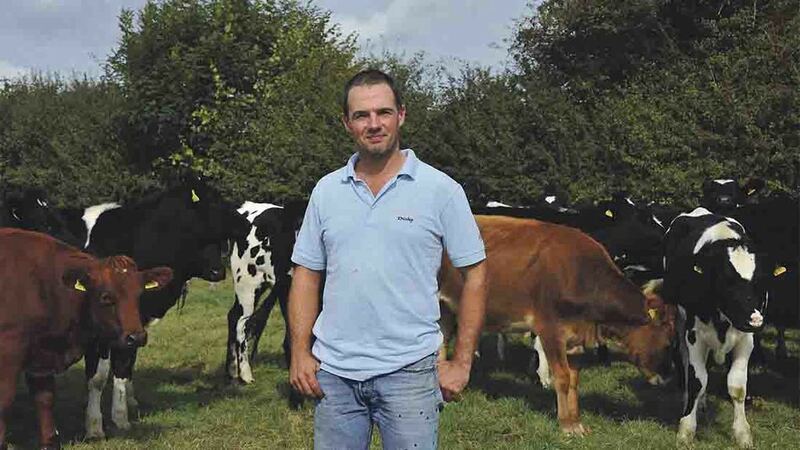 After six years of working in the construction industry, Joe decided to fold his business and return to the family dairy farm in East Sussex. “After running the farm for a couple of years, I realised I had made a few mistakes and did not really move the farm forwards,” says third-generation farmer Joe. A family friend who had also been a Nuffield Scholar told Joe a global perspective of the dairy industry would help him improve the farm, and suggested he apply for a scholarship. “I did not know much about Nuffield, but I went home and applied the same day and I have never looked back. It was the US leg of the journey which really made an impression on Joe. “The first farmer I met had a fantastic work-life balance. “He showed me you can do well in life and still be honourable about it. He was a perfect example of a farmer who did not compromise family values,” says Joe. "My travels taught me the importance of living the life you want to, not the life which is expected of you"
The time away allowed Joe to realise the value of his employees, and how he could improve the efficiency of the farm if he moved away from the daily operations to oversee the farm’s management. “My time travelling taught me the importance of living the life you want to, not the life which is expected of you. “It really hit me when I was travelling on my own. I thought to myself, ‘Am I just carrying on what my father did, or do I want to have a better, more successful life and business’,” says Joe. The biggest change came about when Joe and his family decided to move away from the farm. Moving off-farm really was the cherry on top for Joe. “None of the American farmers lived on their farms. My wife and I thought it was odd at first, but now we are living away, I realise why they do. It has really improved our quality of life.